After it was outed in a leak earlier this week, Amazon's Netflix for ebooks, titled Kindle Unlimited, is now official and available to use. Kindle Unlimited is a subscription service that will let customers stick their teeth into over 600,000 ebooks and "thousands" of Audible audiobooks with unlimited access for $9.99 per month. But that's only a section of Amazon's entire library, so it won't be a total gorge-fest. And if you're tempted but not entirely convinced then you can give the service a 30-day trial from today. Amazon says you'll be able to use the service across all Kindle devices and apps. 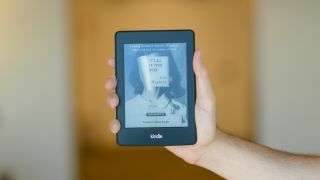 Unfortunately, Kindle Unlimited is restricted to US customers for now, but an Amazon spokesperson has told TechRadar to "stay tuned". So that's exactly what we're going to do. Oh, and to help lure you in, Amazon's also offering up a free three-month Audible membership for Kindle Unlimited subscribers, which will give you access to the fully library of audiobook content.